Looking for fresh apps for your iOS device? 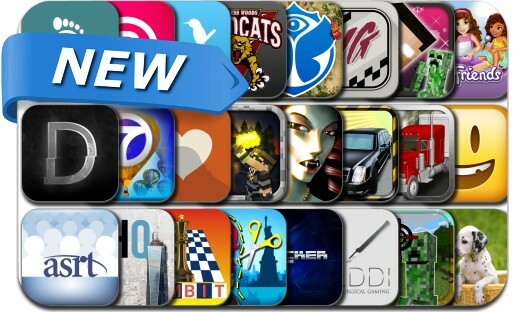 We’ve found 24 great apps that were released over the last couple of days. This new apps alert includes Shadow Vamp, Superimpose Yourself, Creeper Hunter 3D, Limousine Parking 3D, Truck Driver Pro: Real Highway Racing Simulator, Divergent, Steps a Pedometer, Lego & Friends Story Maker, TomorrowWorld and many others. Put your favorite pictures in borders,collages,and more! Label them with cute typography,or date,time & place. Digital Scrapbooking,at your service!